Raisins are an ideal example of how something easily accessible, affordable and delicious, can be amazingly beneficial to your health. By choosing dried raisins as a snack instead of a less healthy option such as cookies, or chips you’ll be taking a major step toward improving your health, preventing future health problems and possibly even enhancing the romance in your life. Raisins can be beneficial to your heart health. They’re a cholesterol-free food. They can help lower bad cholesterol, LDL and reduce the risk of cardiovascular disease. This delicious dried fruit is a good source of calcium and boron which support bone health. Raisins contain lanolin acid which supports oral health by preventing the growth of harmful bacteria that cause tooth decay. For those times when you need an energy boost, reaching for raisins is one of the best things you can do. They contain fructose and glucose that encourage the absorption of nutrients your body and make them an excellent source of quick energy. Raisins are considered to be an aphrodisiac. They have anti-bacterial and anti-inflammatory properties that have earned them the distinction of being an effective remedy for infections. The high fiber content in raisins makes them an effective remedy for constipation and the prebiotics they contain support colon health. Raisins are antioxidant-rich and can help reduce the risk of cancer. They are beneficial to your skin and hair. Their high iron content improves circulation which helps prevent anemia and hair loss. Dried raisins are packed with flavor and health benefits. They deserve a place of prominence on your healthy food list. Studies show that approximately one out of every three people in the United States have hypertension. When you factor in the number of people who have pre-hypertension, the statistics show that approximately 60% of the American population is affected by elevated blood pressure. Lifestyle and dietary changes are often recommended as a way to reduce and control blood pressure. Switching from unhealthy snacks to healthy snacks is high on the dietary change list. Adding dried raisins to your diet may reduce your blood pressure. Since hypertension is a contributing factor to cardiovascular disease, strokes and heart attack, you may want to make regular purchases of bulk raisins so that you can enjoy them daily to safeguard your overall health. Raisins are rich in potassium. Approximately 60 raisins contain 212 milligrams of potassium. Potassium is credited with being the most effective mineral in lowering the sodium level in your body. In addition to the high percentage of potassium raisins provide, they also have fiber, polyphenols, phenolic acid, tannins and antioxidants which help support healthy blood pressure. One study showed that when raisins were chosen over a pre-packaged snack, the systolic and diastolic readings in the participants was reduced. Another study was done with participants who were classified as having pre-hypertension, a reading of 120 to 139 systolic and 80 to 89 diastolic, and it was found that by eating raisins three times a day, their blood pressure reduced significantly. Exposure to the sun and the numerous pollutants your body is exposed to can have an adverse affect on your skin. The aging process may also take a toll on your skin in a variety of ways. Raisins are a good source of support for your skin. They are rich in antioxidants and phytochemicals which can help protect skin cells from the ultraviolet rays of the sun and from harmful pollution. Raisins can detox your blood from toxins, waste materials and other impurities that can damage your skin. Ridding your blood of impurities can make your skin clear, radiant and more youthful in appearance. The antioxidant resveratrol is found in raisins. Resveratrol slows down the aging of skin cells. Adding raisins to your diet can be a simple way to boost your age-defying beauty routine. Sexual impotence is defined as the inability to become sexually aroused. This disorder can be experienced by men and women. Age, health problems and menopause are contributing factors to sexual dysfunction in women. Erectile dysfunction is one of the leading causes of sexual impotence in men. Studies show that doing something as simple as eating dried raisins can stimulate sexuality in men and women. 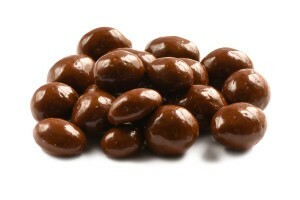 Raisins contain the amino acid known as Arginine. Arginine is helpful in the treatment of erectile dysfunction. It has also been found to stimulate libido. Raisins are considered to be an aphrodisiac. They provide a boost of energy and can improve sperm motility. Raisins are a good source of calcium. Calcium is needed to build strong bones. A calcium deficiency can lead to a disease known as osteoporosis. While calcium is a mineral most of us are familiar with and already associate with bone health, boron is a less familiar, but an essential, nutrient your bones need to stay strong and healthy. Raisins are one of the best sources for boron. You get 2.2 mg of boron in a 100 gram serving of raisins. Boron aids in the absorption of calcium, so by eating raisins, which contain both boron and calcium, you are taking a vital step in protecting and strengthening your bones.